Guys, It’s truly been a bit since I’ve decorated Sugar Cookies. The last ones I did for anyone were the Ladybug/Steampunk. They were done at the same time. 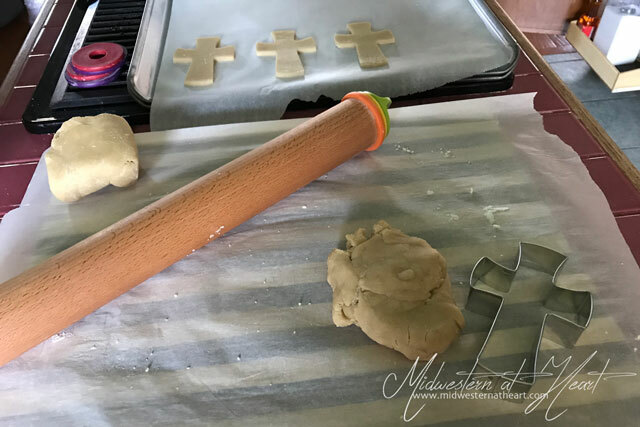 Then… I haven’t done any until Easter when we tried a different recipe. By the way, I like my recipe better when it comes to decorated sugar cookies. Those we tried around Easter mounded up and then sunk. Not so good on the decorating storefront. 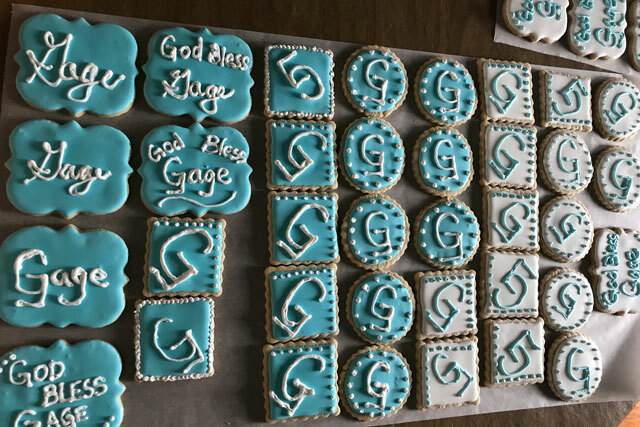 So a friend of mine hit me up about a month ago for some Baptism cookies. 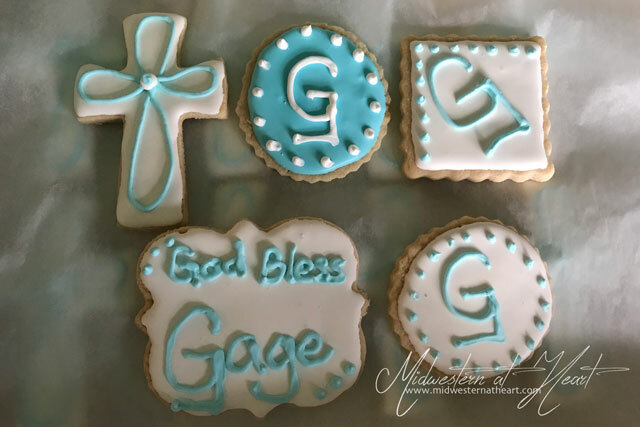 Said her son was getting Baptized, they were doing something at her house afterward, and she wanted something more than just a cake. She sent me a few ideas and I rolled with it from there. One thing she really wanted was Cross Cookies. 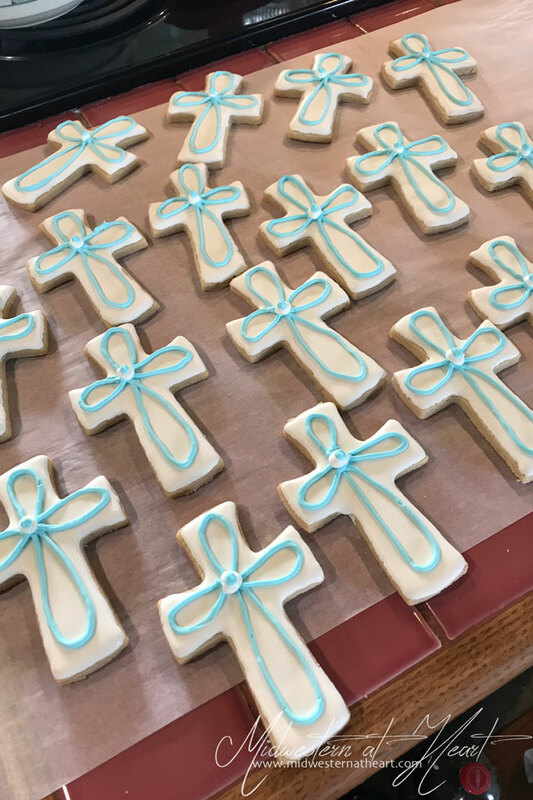 I didn’t have a cross cookie cutter, but hey, Amazon to my rescue! I had plenty of time to get a cookie cutter in for these cookies. When I asked what colors, she said light blue and white. Well, I think this blue is very close to Tiffany Blue which her name is Tiffiny. No, I didn’t misspell her name. Her mom didn’t want people calling her Tif-FANY. haha. I know this all too well. Welcome to the next 4 dozen Sugar Cookies.